In a world full of compromise, you'll find a boat that just won't accept the status quo and goes beyond the norm. 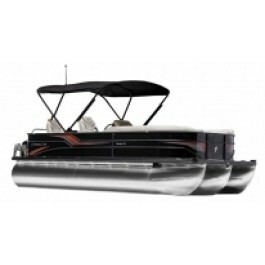 Finally, a large entry-level pontoon boat with loads of premium features and options to make it your own. 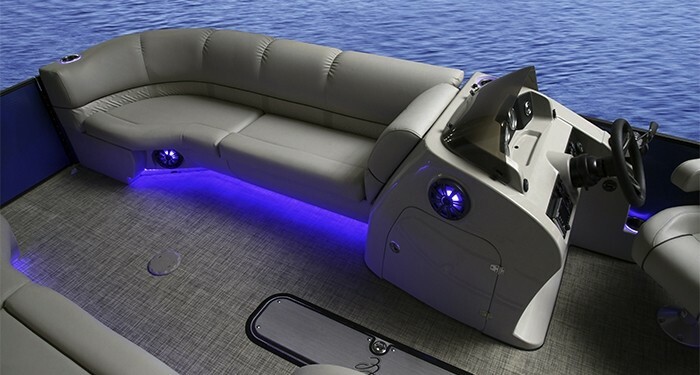 We first take a 25-foot pontoon chassis built to exceed the industry standard and load it up with valuable standard features like pillow top upholstery, Kicker® Bluetooth® stereo with four speakers, snapless mooring cover, and stainless steel flourishes throughout. Consider opting for the all new SLP floorplan that features a 5-way convertible picnic lounge at the aft or the Sports Package that includes the sports graphic, interior accents and highback reclining helm seat. If conquering rough waters is your idea of fun or you just need additional stability to bring your whole crew along, the Big Water III Package is for you. With that, you'll be upgraded to three 27-inch tubes, full-length riser brackets on the inside and outside of the tubes, full-length keel, aluminum skin kit, rough water package and a whopping 63 gallon fuel tank for long range cruises.